The 1 GUARDIANS Nationalist of the Phil. (GANAP/GUARDIANS) Arabian Scorpions Chapters celebrates its First FOUNDATION ANNIVERSAY and GENERAL MEMBERSHIP MEETING last Friday, November 26, 2010 at Golden Tulips Hotel, Jeddah, Kingdom of Saudi Arabia. The 1 GANAP/GUARDIANS Arabian Scorpions Chapters were recognized by the Consulate General of the Republic of the Philippines in Jeddah as one of the Filipino Community organization and non–profitable organization focused not only in the pursuit of the brotherhood’s mission and vision but also an organization committed to the humanitarian services to help the Distressed Overseas Filipino Workers (OFW’s). 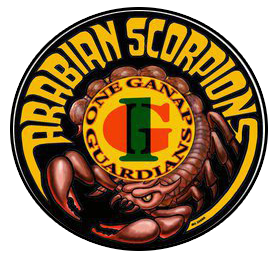 The Arabian Scorpions Chapters composed of Four districts chapters which were organized and founded on November 30, 2009 by Joel "FGBF LAWIN" Catague Sr. and Engr. Gerardo "FRMG ROBOCOP" E. Dimaunahan, and presently with 145 active members composed of Professional Engineers, Technical staffs, medical staff, Professional Registered Nurses, Accountants and other skilled workers, working in Jeddah, Kingdom of Saudi Arabia. The first major activity headed by the overall activity chairman and President of Arabian Scorpions 2 Chapter Bro. Erwen "RMG RACING" Origenes and Vice Chairman Bro. Ramon "RMG MONIS" Eniego supported by all sub committees chairmen and members. The whole day momentous event was attended and witnessed by Honorable Consul Leo Tito Ausan Jr. Consul and Acting Head of Post from the Consulate General of the Republic of the Philippines in Jeddah as the Guest Speaker. During the convention, three high ranking officials from the National Headquarters gave their inspirational message via phone touch which was aired in front of its 145 members who attended during that event. The three high ranking officials were Dr. Jimmy "RMG ARIES" Guban, PHD., 1 GANAP/ GUARDIANS National Chairman/President-CEO, Dir. Antonio "FGNF IVANDER" Amulong, 1 GANAP/ GUARDIANS Director of the National Founders Council and Job "FGBF JOB" Valencia, Chief Executive Officer of the GBHFI. The Arabian Scorpions Chapters’ theme " UNITED BY VISIONS, STRENGHTENED BY PRINCIPLES AMIDST CHALLENGES TOWARDS SUCCESS" was a chosen theme by the chapters which reflects the determination of the two Founders, Officers and members to succeed on its endeavors despite of the challenges that normally arise on any organization. 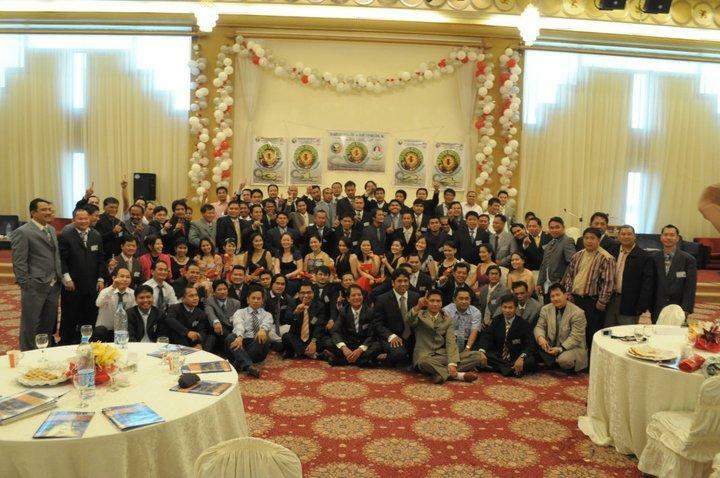 These are the manifestation of their dedication to attain the organization’s mission, vision and objectives. The first Theme was a winning entry and idea of Sis. Susan "MG NEMESIS" Ubarra, an incumbent Vice President/ Vice Chairwoman of the Arabian Scorpions 4 Chapter, the very first recognized unmarked and Honorary chapter duly recognized and accredited by the National Headquarters. The Honorary chapter was chaired by Sis. Delia "MG GALAXY" Catague, with majority registered professional nurses as their members. The first and professional magazine on the first Foundation day of the 1 GANAP/GUARDIANS Arabian Scorpions Chapters was perfectly completed on time thru the effort & creativity of Bro. Mohd Ali "RMG GOLD" Nasa with the support of Bro. Denver "RMG LAKAY" F. Butz. The whole day affair focused on the summary of the achievements of the organization and recognition of its members valuable contributions for the past year.